Our qualified installation team will install your fence quickly and with the highest quality craftsmanship. We’re sure you’ll be impressed with our fencing knowledge and experience. 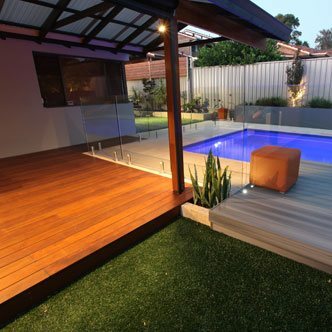 Pool Fencing doesn’t have to just be functional. 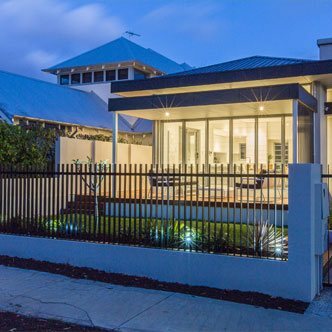 Our creative team will design and install fencing solutions that compliment the architecture and style of your home. Infill is the part of your fence between the pillars and posts. It’s a great opportunity to add design and style to your landscaping that is usually forgotten. Fences are often a missed opportunity when it comes to design, and there is no reason that your backyard fencing has to be boring. 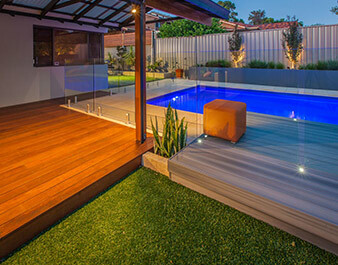 Lucky for you Sustain Patios and Outdoors is the Perth backyard fencing specialists. Our creative team can design and install the perfect fencing to suit your outdoor landscape. 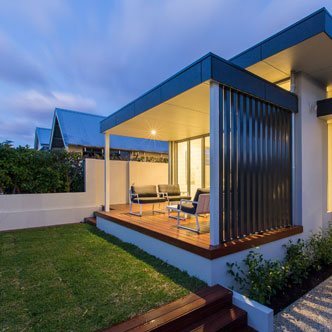 From functionality to the aesthetics of your home, we take each detail into consideration when helping you choose the right fencing solution for your outdoor space. 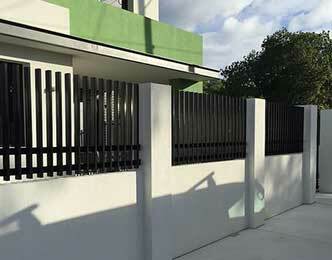 Fences are also an important aspect of security in your home. Fencing can protect against unwanted guests and prying eyes on your property. 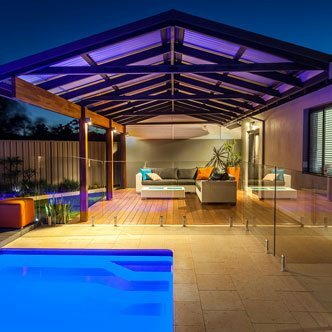 They also keep pets safe and can divide your backyard into areas for entertaining. 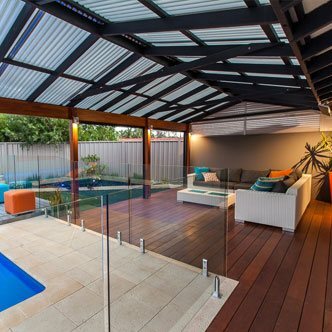 There are some areas in a backyard that simply have to have a fence, pools included. 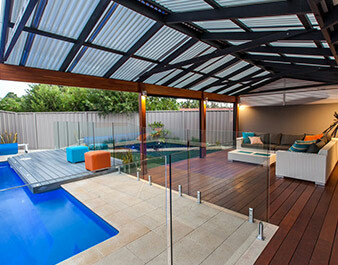 a secure pool fence, installed by the experts at Sustain, will give you piece of mind. Not only will you take comfort in knowing your family is safe, but you will also love the way the design integrates into your landscaping perfectly. We take pride in our craftsmanship and satisfying our customer’s needs. Our team is highly skilled in installation and only works with the highest quality materials. We offer a complete range of fences in both modern and traditional styles; we can even install a matching gate! 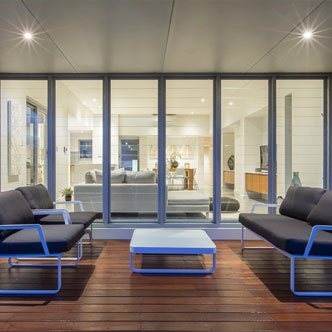 Its details like these that make your outdoor area a stunning and cohesive space, so contact Sustain today and experience what we can do for you!